There are a lot of experts today that are advising dog owners to put their pets on special diets so that they get extra nutrients. All owners know that this is definitely what happens when the conversation revolves around pedigree show dogs, as they usually have a special diet to ensure that they are in prime condition. But the question is; should we be giving special diets to our pets who are just normal domestic companions and are not show dogs? 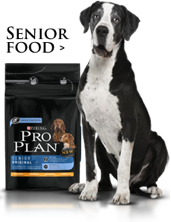 There is a company called Purina pro plan; they specialise in making not only ordinary dog food but specialist veterinary diets as well. There are also other brands that will make the specific foods that are designed to bring out the best in your dog. A point that has been made by experts is that by giving a specifically tailored diet to your dog they will receive the nutrients they need to become prime examples of their breed. What companies like Purina pro plan dog food do is they tend to follow what vets recommend and design foods to help dogs with specific health conditions. A company like this tends to set itself apart from the competition because their range is typically designed to help dogs with a lot of day-to-day problems like allergic reactions to proteins and heart problems. It is advisable that if you are going to put your dog on a special diet that you seek the advice of an expert like your local vet. They will then be able to assess your animal’s needs and prescribe or recommend a particular supplement or brand that will help your dog. There are programs such as Purina veterinary diets, which do give the optimum nutrients to help dogs suffering from underlying health conditions. This was a very informative article. I have not tried Purina yet for my dog but I think I will definitely consult with my vet and see if I can give it to her. My dog has an extremely sensitive stomach and I really need to put her on a specialized diet. Your article has been quite helpful.